In this thrilling episode of Pet Talk, Dr. Sarah peers into her crystal ball and treats pet parents to some special tricks to help fur-kids have a happy and healthy Halloween. Our staff veterinarian offers some timely tips on keeping your pets’ paws off potentially hazardous candies. Further, Dr. Sarah conjures up the perfect spell to keep your furry friends from unexpectedly venturing out among the other creatures of the night! And, since tasty treats are central to All Hallow’s Eve, Dr. Sarah reveals some healthier options made especially with your four-footers’ nutritional needs and well-being in mind. In the brief video, you’ll learn all sorts of helpful tricks for taking the fear out of your Halloween celebration! All Creatures Are Great - Big or Small! 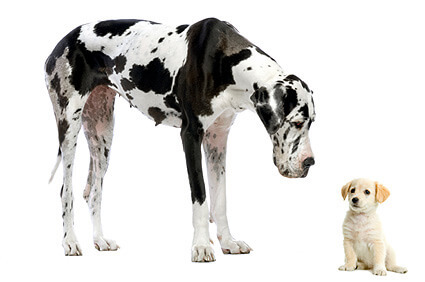 One of the most amazing things about canines is the astounding range of sizes and shapes they come in. From Saint Bernards to Chihuahuas - and everything in between – there’s a dizzying array of physical variations. This explosion of varieties has happened extraordinarily quickly in terms of evolutionary timescales due to relentless selective breeding by humans and, as a result of our genetic meddling, the dog is now the physically most diverse land animal on the planet. On behalf of the Dr. Jane’s HealthyPetNet Foundation, it is our privilege to announce the gift of yet another financial award. 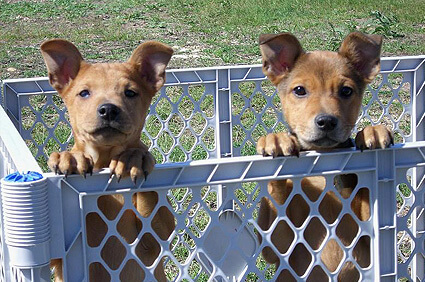 This month’s featured group is Animal Friends Humane Society, a non-profit based in Boerne, TX. Saving canine lives since 2000, this impressive little group was established with the goal of serving a small part of the greater San Antonio area where over 50,000 dogs and cats are euthanized annually. During the last 12 years, they’ve continued to grow and foster their own place in the community.